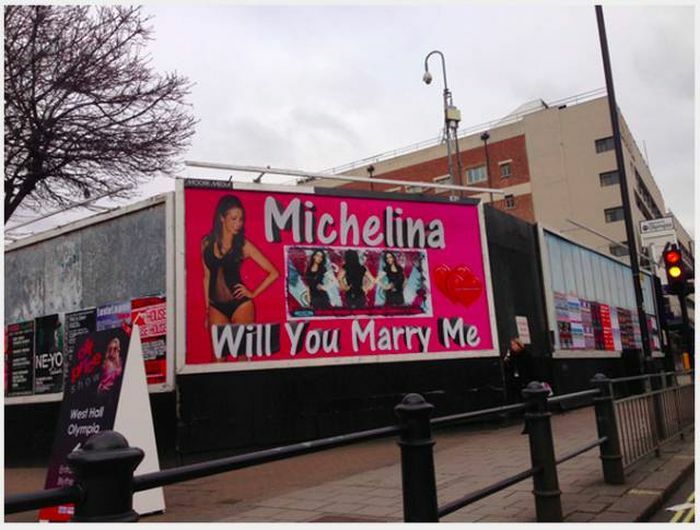 Marriage proposals are supposed to be memorable and romantic and these marriage proposals are definitely memorable, but for all the wrong reasons. 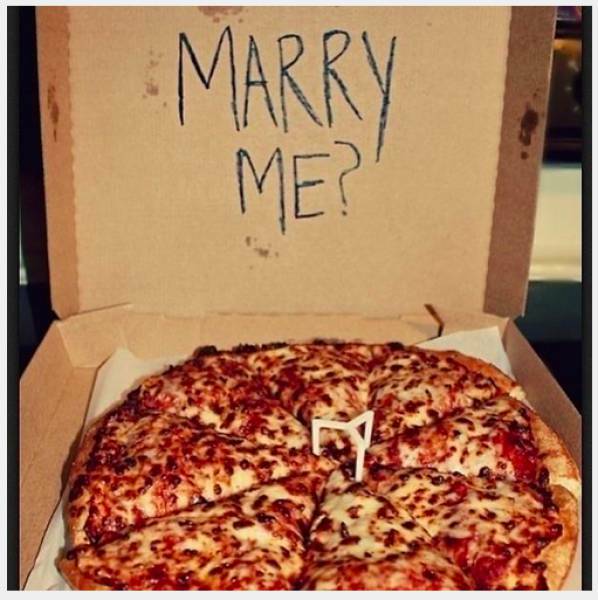 Did he do this, or did he say "Write my proposal" on the pizza ordering form's "Special Instructions" field? Even if the idea of getting a billboard doesn't bother you, the graphic design of this one will. Oh, man. 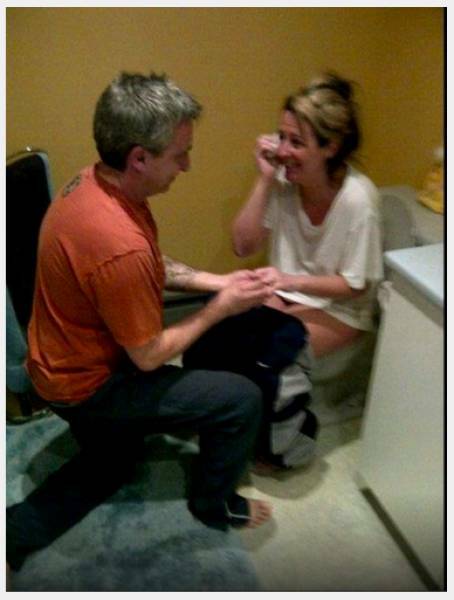 He wouldn't even put his bended knee down on the bare floor. 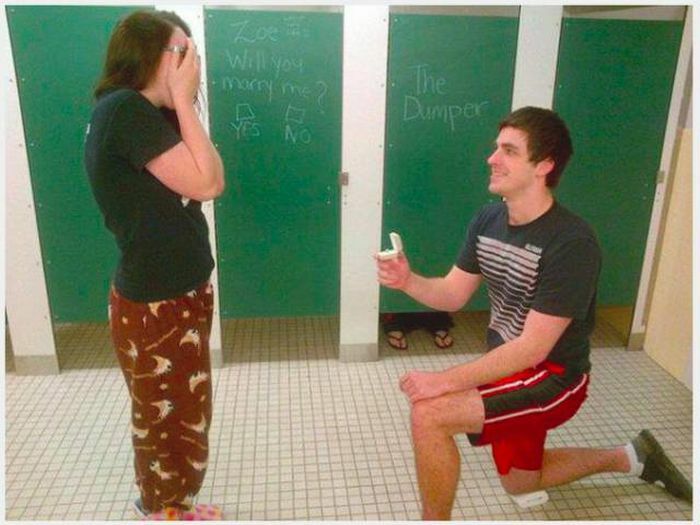 He used a towel. Not the indication of a romantic spot. 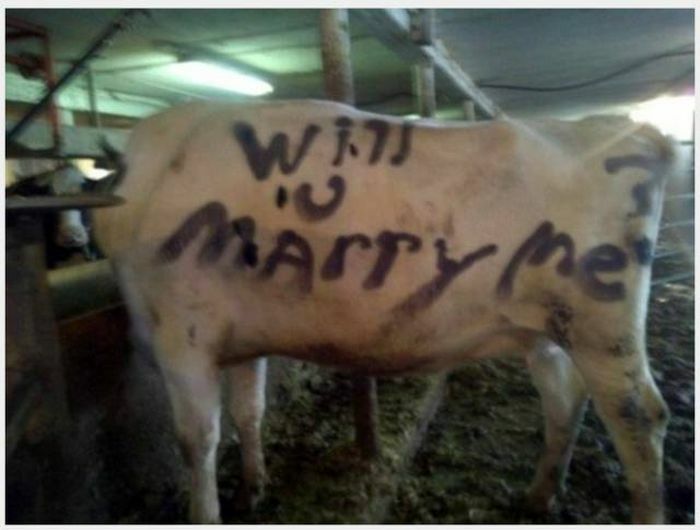 A spray painted cow sends a very specific message about the type of person she'll be marrying. 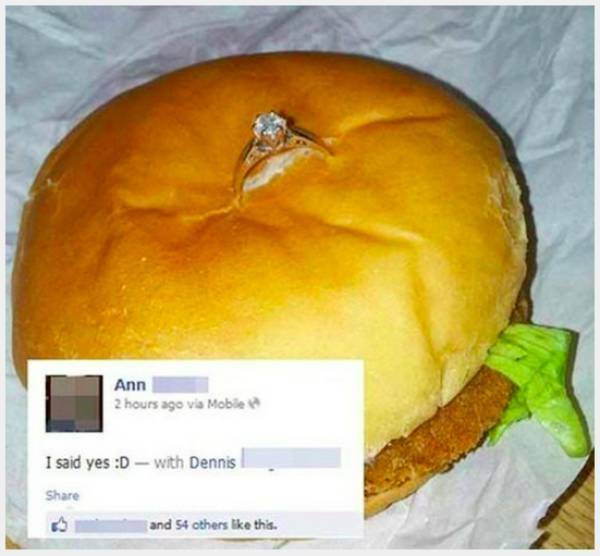 At least find a more photogenic sandwich. 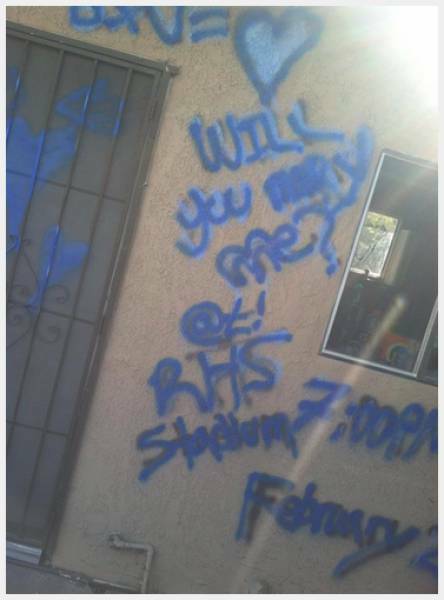 If your proposal involves vandalism, you might want to re-think it. Oh dear God. No. No memes ever. They kill romance and creativity. 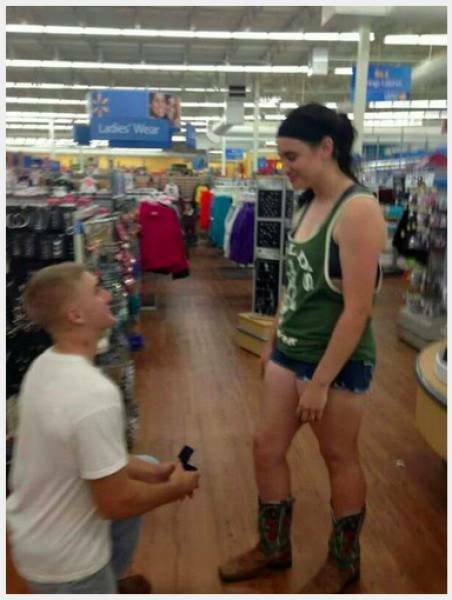 You won't even be able to see the look on her face, dude. 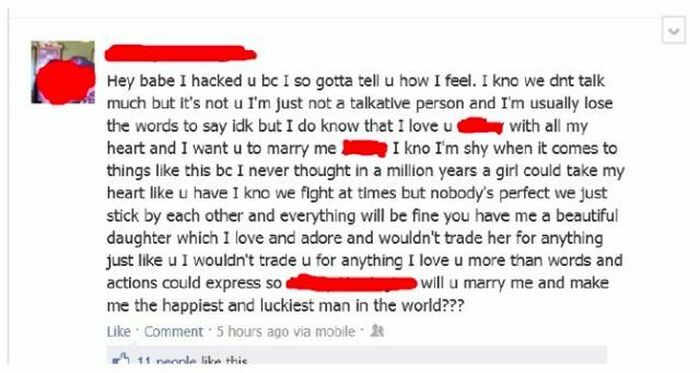 I hacked your account. We don't really talk. We fight "at times." 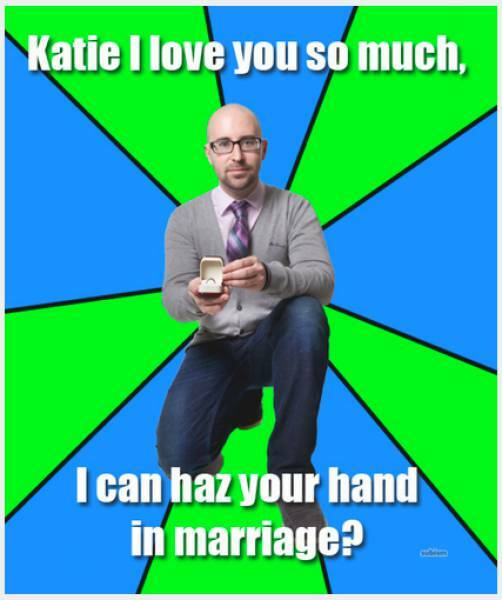 LET'S GET MARRIED! "I hope you're sitting down. Perfect." 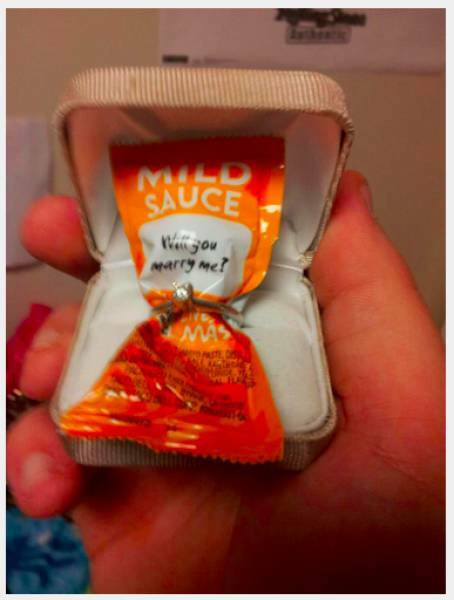 Just take out the packet of hot sauce and you'll be fine and normal, dude. 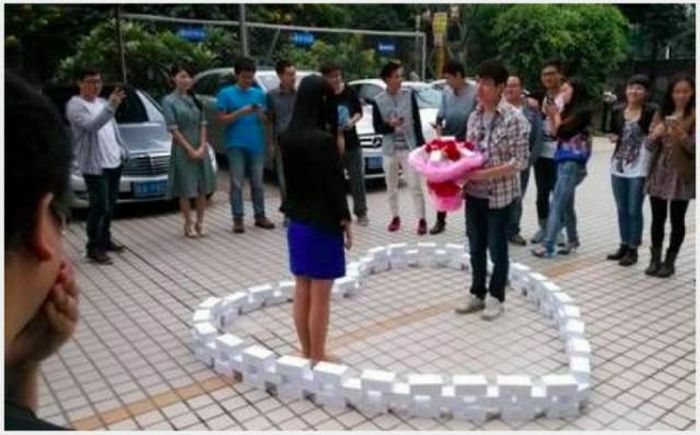 Surrounding someone with 99 iPhones sure says...something about your relationship. 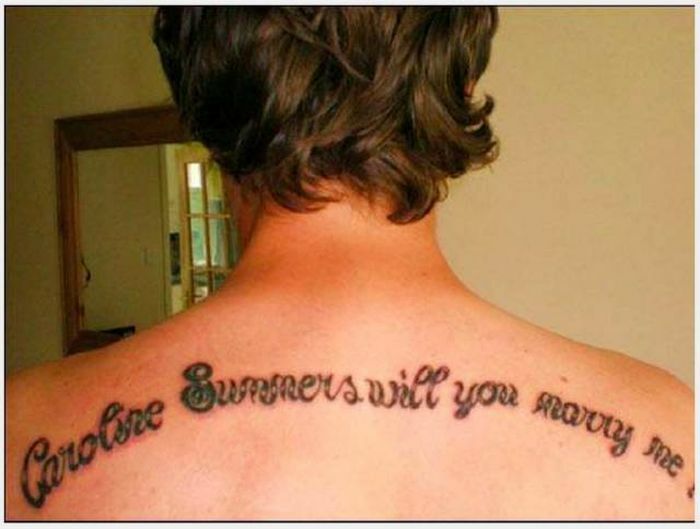 I can't for the life of me figure out what, though. 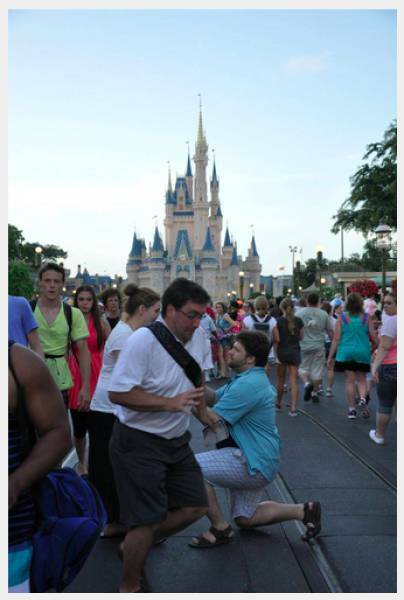 Honestly, this dude made his proposal one of the most iconic and memorable in history. Nothing wrong with this one! If Captain Picard isn't on board with your proposal, a Star Trek reunion was probably the wrong place to do it.